Thierry Lasry Deeply (2521) Need Help? Thierry Lasry combines timeless glamour with modern aesthetics better than anyone else right now. All Handmade in France out the best materials, you can just feel the difference in quality. The Deeply is a chunky contemporary cat eye frame. 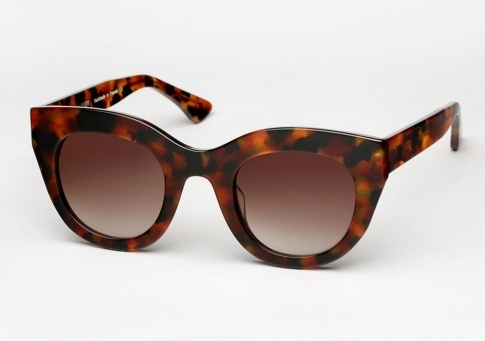 It is offered here with a classic tortoise acetate front and a laminated unique multicolored back.